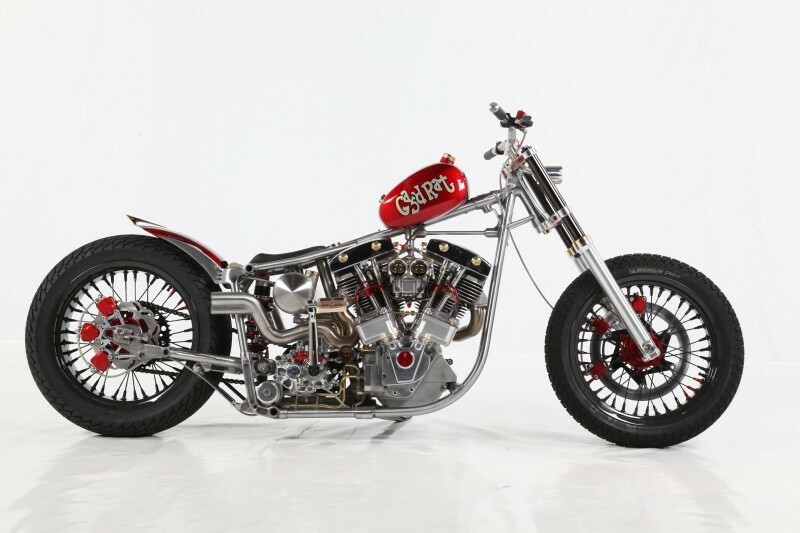 While innovation has always been a hallmark of the World Championship of Custom Bike Building, the 10th anniversary of the show reached a new level. Held for the first time in Europe, at the Big Bike Europe Expo in Essen, Germany, the Championship showcased motorcycles, scooters, trikes and sidecar outfits. Among the power units being employed by the 105 competitors were not only American V-twins, but also Italian singles and V-twins, Japanese multis and singles, a diesel, an engine from a Honda generator and even a 1920's boat engine. With entries from 23 countries there were a total of 122 machines in five classes. Of the 66 bikes competing in the Freestyle class, the 2013 World Championship title was taken by Medaza Cycles' Rondine. 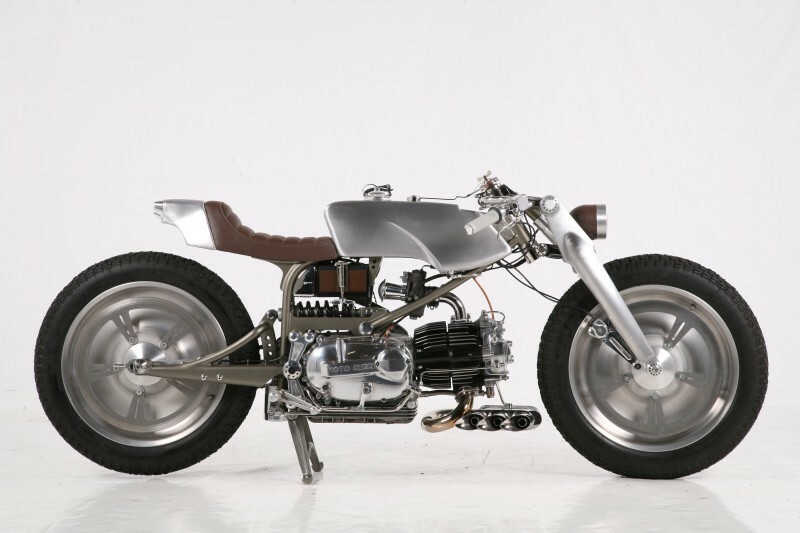 Don Cronin and Michael O'Shea, the two Irish men responsible for the build created a one-off frame to carry the single-cylinder, 1971 Moto Guzzi Nuovo Falcone 500 engine. They were also responsible for hand-forming the aluminium bodywork and the heavily modified V-Rod swingarm, which is used as a girder style front fork, on the bike which previously took top honours at the 2013 Irish Motorcycle and Scooter show in Dublin. 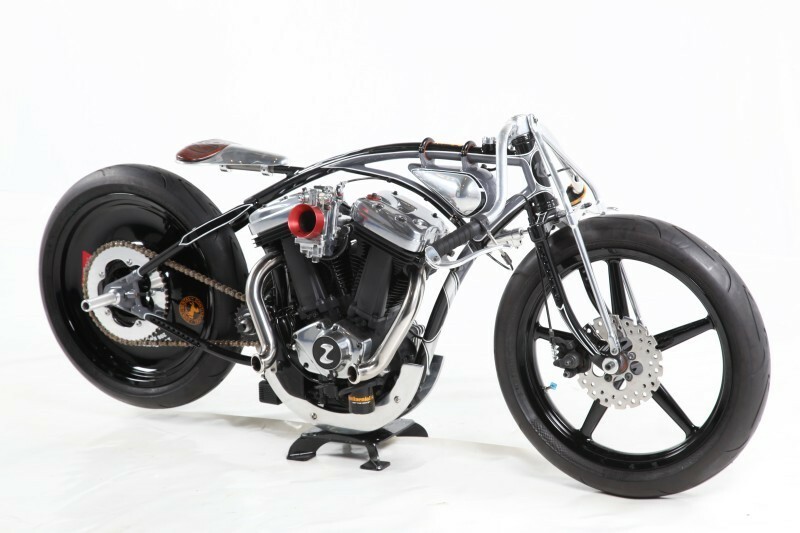 Laurent Dutruel originally built Tribute to Hagakure to take to Bonneville and compete with during Speed Week. Although there is no official record for a fully rigid bike, Laurent took his bicycle style inspired, Buell engined machine to 208kph on the salt, and he has now followed that achievement with the motorcycle taking second place in the Freestyle class at this year's World Championship. Pete Pearson, of Rocket Bobs in the UK, describes his third placed bike, Gas'd Rat, as: "A rocket bobber built from a Shovel powered, fully redesigned, re-engineered and fabricated FXS." In a first for the Championship, a Taiwanese builder took a class win when Winston Yeh, of Rough Crafts, lifted the trophy in the Modified Harley class for his all black, Sportster-based Stealth Bullet, which featured a carbon gas tank and an oil-in-frame conversion. Claiming the win for Italy in the Retro Modified class was Inglourious Basterds Cycles with Bastarda Senza Gloria, a '48/'79 Pan/FX Shovel special fitted with the company's own adjustable Springer front end. Laurent Dutruel was called to the stage a second time when his turbo charged XR1200 was named the winner of the Street Performance class. Laurent now plans to ship the bike to the US in the summer so that he can ride from San Francisco to the Bonneville Salt Flats and once there attempt to set a record on the bike in the 1350 M-PBG class. Completing the line-up of winners was Second City Customs from the UK, whose bike The Naughty Gentleman took S&S Cycle's Recognition Award in the Production Manufacturer class. Next year the 11th Annual World AMD World Championship of Custom Bike Building will again be staged the Big Bike Europe expo at Essen, Germany, but 4 weeks earlier on 11th, 12th and 13th. New for 2014 will be a cafe racer World Champion class.